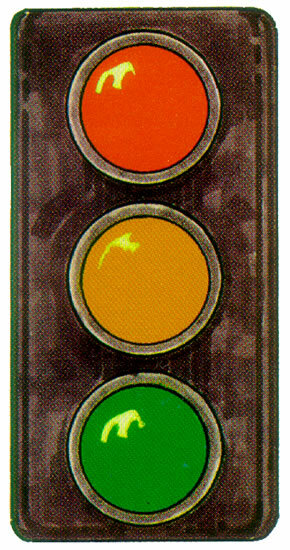 I use red/green signals in dashboards all the time. Everyone knows the red/amber/green code, so they instantly convey a rough and ready view of business performance. If there is a lot of red, there is a problem; everything green, no problem. 2. Keep using your brain (I know it shouldn’t need saying, but honestly, people don’t always manage this one). I hope you’ll indulge me moving a little away from normal dashboards topics today, to a neat rule called Benford’s Law. This is handy if you’re trying to see if someone’s data cleaning exercise has made the data a little *ahem* too clean. (See the argument for the good kind of data cleaning here). The same kind of effect occurs with the scales on graphs. No matter how smart and numerate the audience is, they will be influenced by the scale you use to present a picture, even though you know and they know that the data is the same stuff whatever scale it’s shown on. Despite having a maths degree, I graduated knowing nothing about applied maths. Nasty, dirty, smelly stuff. However, it turns out that simple statistics and applied maths are very handy in the nasty, dirty, smelly real world.One of my favourite handy measures is standard deviation. 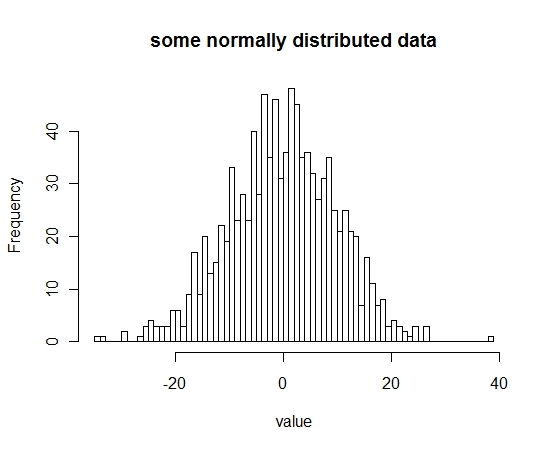 It’s incredibly useful, because it provides a yardstick of ‘weirdness’ for normally distributed data (normally distributed == bell curve shape. This is the distribution of most ‘organically’ generated data). I just reintroduced myself to a lovely little example of why it’s important to draw graphs and to look at outliers in your data, and I want to introduce you to it as well. This came up today when I was trying to persuade someone that they really ought to look beyond the average values for spending, website visits, and so on when thinking about their customers. They weren’t convinced, as they thought that an average told you pretty much all the important stuff, and anything else was basically just getting carried away with overengineering the statistics for the fun of it. Here is a very lovely little counterexample: Anscombe’s quartet, constructed by Edward F J Anscombe back in 1973. 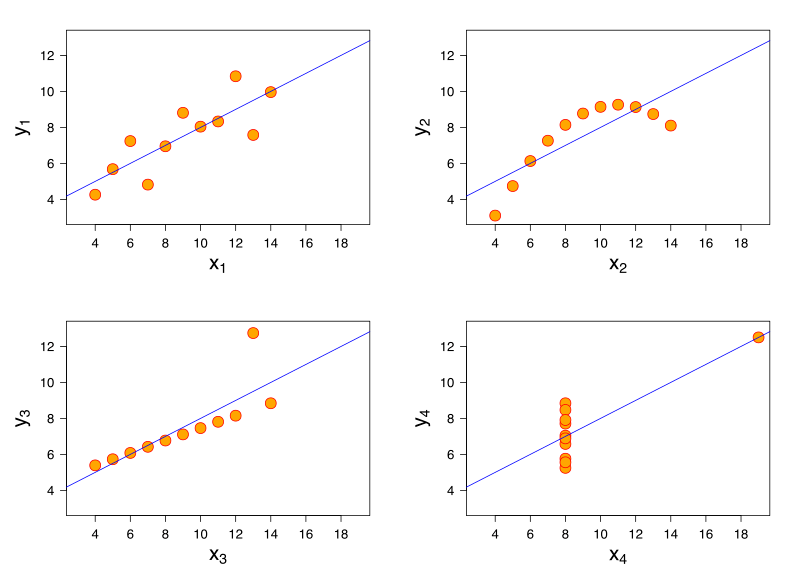 Feast your eyes on the sets of data below, which have eleven points each. (thanks Wikipedia for the picture). I just learned the term ‘yak shaving’. It’s not really clear to me if it’s usually a positive or negative thing, but today I want to talk about a good kind. Apparently it probably originated from Ren and Stimpy. I’m not sure what they were planning to do with the yak afterwards.